New Orleans provides various transportation options for its visitors. 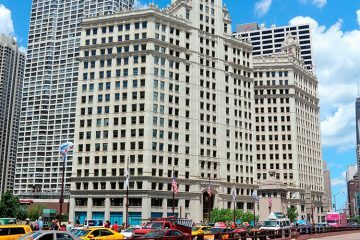 You can explore the city in a vintage streetcar, old mule-drawn carriage, more common tour buses or in a taxi cab. Still, the list is not finished yet. For all those who want to explore the city with comfort and joy, New Orleans offers another transport: pedicabs. Pedicabs were originally invented in Japan and today they are widely used as major means of transportation in some developing countries. Asia alone counts more than 1 million pedicab drivers! In San Diego, it has become a great tourist attraction. These vehicles operate mainly along city’s most notable areas such as the Canal Street downtown corridor, the French Quarter, Faubourg Marigny, and Garden District neighborhoods. 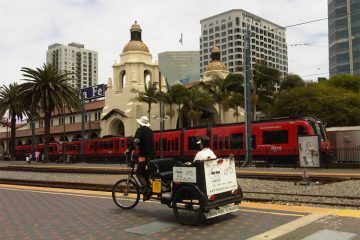 You can contact one of San Diego Pedicabs companies or just hail a pedicab on the street. They can be easily found near major hotels and some other places of interest. 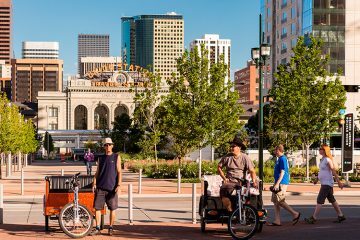 Pedicabs provide an ability to be picked up anywhere in the city and to be taken whenever you would like to. Still, note that pedicabs were mainly created for short-time trips. 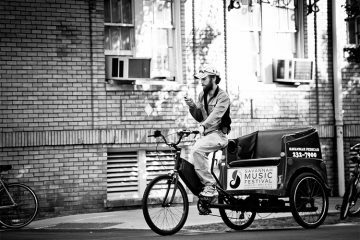 Approved by the New Orleans City Council in September 2010, pedicabs have become an integral part of the city. 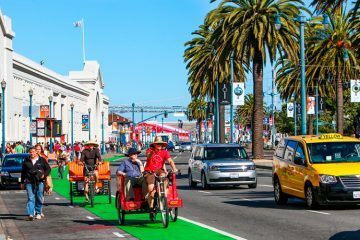 Today New Orleans can offer its visitors numerous Pedicab Companies such as Bike Taxi Unlimited, Need A Ride Pedicabs, NOLA Pedicabs, and Big Easy Pedicab Association. The mandated by the city rate per ride is $5 for the first six blocks and $ 1 per additional block per person. One of the best things about pedicabs is that their drivers are mainly licensed tour guides who can show and tell you about the best places in the city. Drivers often stop to give tourists some time for making pictures. 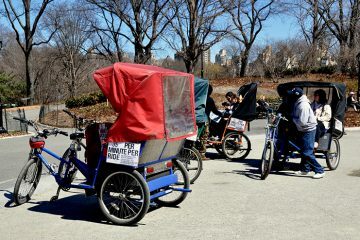 Another good thing about pedicabs is that they will not charge you for waiting time. Generally, pedicabs are opened from early morning until midnight. On weekends they usually work all day and night long. 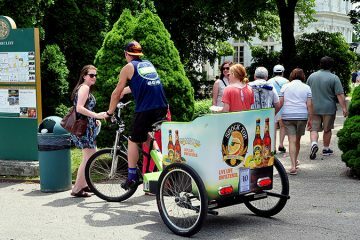 You can also take a pedicab to take part in some special events such as parades, wedding parties or photo safaris. Just note that a pedicab usually can carry just two passengers.